The first barrier is lack of alignment. One reason this barrier exists is because we lack understanding about alignment: what it is, what it isn’t, and how to recognize a lack of it. Most people I ask define alignment as “the walk matching the talk,” or some version of living in harmony with your values. There’s a difference between knowing and doing; between intellectualizing and embodiment. For example, valuing the quality of respect and living that quality is very different from just knowing about it. And we would certainly know how to identify a hypocrite, yet, most of us have a much more difficult time looking in the mirror at our own misalignment. To truly understand alignment, you must understand inner conflict. Inner conflict happens when we experience opposing drives, desires or demands. You desire to be respectful, yet it’s difficult to hold back when you’re triggered, perceive injustice, or find yourself absorbed in a vortex of negative media and heated emotion. Embodiment is about living the value even when the value is tested. Look at the issue of alignment from both a personal perspective, and then through your organizational lens. First look at values. Get clear about what behaviors are in harmony with those values and what behaviors need to be let go. As a leader, make a decision about what you need to clean up to be in alignment with the corporate mission and values. In your next meeting, share an example or two of an employee who embodies the stated behaviors and make that your blueprint for talent selection. Then make behavior a part of your performance requirements. Embodiment is about living the value even when the value is tested. Without clarity, there can be no alignment. How can an employee be aligned with your leadership when she is unclear about her role, responsibilities, priorities or direction? 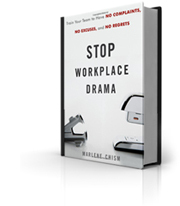 When your organization experiences workplace drama in forms of negativity, reduced employee retention or low morale, you will always find at the root, a lack of clarity. The number one stressor for employees is unclear goals. Clarity must come first, before alignment is possible. In my work, I see tremendous clarity about desired revenues and sales goals, but once you get past the financials, clarity turns to fog. Most employees I talk with say they don’t understand how their boss measures success. Research supports what I’ve seen in the field: Gallup reports that half of employees strongly agree that they don’t understand what’s expected of them at work. Sadly, managers are equally at a loss. Update the job descriptions and standard operating procedures. Meet regularly with employees to keep them updated on the progress and any changes. Don’t wait for a yearly review if an employee’s performance is lacking. Invite conversation and analyze where the lack of clarity or lack of alignment occurs. All things considered, the biggest barrier to creating a culture of accountability is the inability or unwillingness of executives, managers, and supervisors to initiate difficult conversations. Why do I say it’s the biggest barrier? Because even if you are clear and aligned, a culture of accountability can’t be sustained if leaders aren’t willing to talk about difficult subjects related to performance, behavior, and results. A good conversation can help you achieve clarity and alignment, but clarity and alignment do not necessarily drive good conversations. Therefore, the lack of executive conversation is the biggest barrier to creating accountable cultures. In short, executive conversation drives performance and avoidance creates a culture of avoidance. A culture of avoidance and a culture of accountability cannot exist in the same space. This must start at the top. Executives must pave the way. Most managers won’t be able to create departmental accountability if the top executives are avoiders. 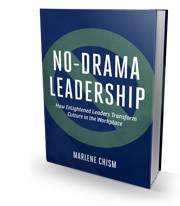 Invest in formal or informal training to give your executives and managers the skills of initiating difficult performance conversations. Start a re-set button and create new standards. Creating an accountable culture is not about using accountability as a whipping stick to gain compliance. Compliance is not commitment. Enlightened accountability, where people truly take ownership and seek growth, can only be achieved through clarity and alignment. Embodied through action, conversation is the bridge to bring it all together.